Wait at least 2 weeks after the end of your antibiotic therapy and when the infection is gone. A patient undergoing aesthetic medicine should be generally healthy. Always before the surgery, a medical interview is conducted, which dispels any doubts that might arise. The aligned Hashimoto's disease (appropriate level of TSH) is not a contraindication to aesthetic medicine treatments. A well-groomed, radiant face is the most beautiful setting for a healthy smile. A smooth skin without imperfections and discolorations effectively boosts self-confidence and reduces age at the same time. That is why it is worth caring for it, preferably under the supervision of a specialist, because only this guarantees the best possible effects. 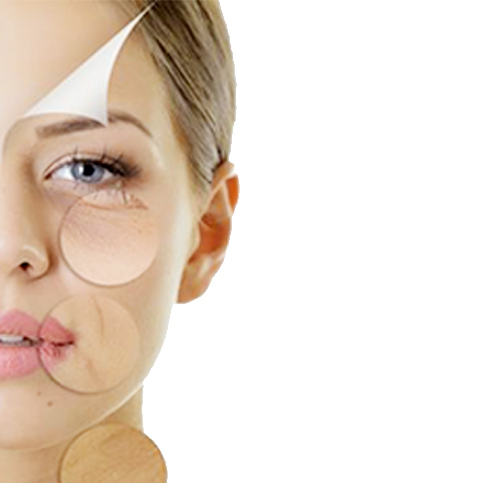 Treatments with the use of lifting threads or fillers, peelings, platelet-rich plasma injection, Botox and mesotherapy are recommended for patients who want to care for their appearance without the intervention of the surgeon. Performed by a specialist, they give uninterrupted but noticeable effects. We emphasize that the aesthetic medicine not only improves the beauty but also emphasizes the natural beauty while improving one’s well-being. The thread treatments are minimally invasive and provide excellent results over time. They are becoming more and more popular and are gaining increasingly wide areas of applications. At Medessence, we offer you treatments using revitalizing threads – stimulating the renewal of connective tissue and lifting threads – acting mechanically because they move the structures of the soft tissues and fix them into the desired way planned by us. The treatment with the use of the threads can be given throughout the year – sunlight is not a contraindication. The hyaluronic acid is a chemical compound naturally occurring in our body. This is the so-called "elixir of youth." Its task is to keep water in the tissues. Together with the fibers of elastin and collagen, it determines the resilience, flexibility and smoothness of the skin. Thanks to its hygroscopic properties (the acid molecule binds 40 times more water than it weighs), it maintains the proper moisture level of the tissues. 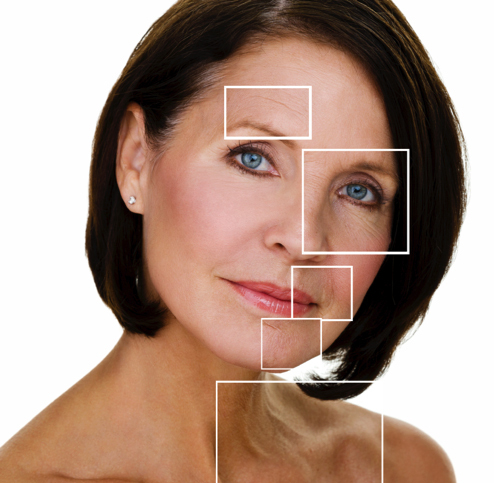 With increasing age, the volume of collagen and bones decreases, and the distribution of fat pads on the face changes. All this leads not only to the flaccidity of the skin and the appearance of wrinkles, furrows and also to change of the shape of the face, hamster cheeks appear, shadows under the eyes deepen and the face begins to take a tired look. Of course, in each patient this process takes place at a different pace and different age so there is no clearly defined boundary when the adventure with aesthetic medicine should begin. The most important factor deciding for or against aesthetic medicine treatments is our perception of ourselves and our satisfaction or lack of it from the condition of the skin. Injection of the platelet-rich plasma stimulates the body's natural regenerative abilities. Platelets release growth factors, acting like a “boost” for cells. Plate blood cells contain a number of factors necessary to rebuild the skin, among others PDGF, TGF-β1, TGF-β2, EGF and VEGF. They stimulate tissue repair processes, spur fibroblasts to create new collagen, support the process of forming blood vessels and activate stem cells. The result is visible smoothing of furrows and wrinkles as well as increased tension and elasticity of the skin. Botulin is a potent toxin that inhibits the release of acetylcholine – a neurotransmitter responsible for the transmission of neuromuscular impulses. The botulinum toxin blocks the so-called neuromuscular synapses causing muscle "relaxation". This is a temporary effect because the fibers are formed anew after about 4 to 7 months. 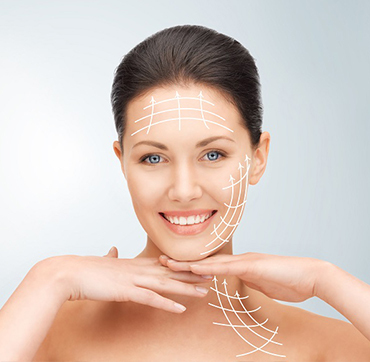 The botulinum toxin is used in medicine in the treatment of various diseases such as squint or neurological diseases with excessive muscle tone. For the elimination of mimic wrinkles, very small doses and concentrations of the toxin are used that only work in a specific area. Needle mesotherapy is one of the most frequently performed treatments in the field of aesthetic medicine. Recommended for both young and aging skin with loss of density, firmness, elasticity, gray or tired. Perfectly moisturizes and revitalizes the skin; depending on the chosen preparation, it also fulfills other functions: brightening, stimulating, highlighting, evening out the tone and smoothing the skin. The skin looks healthier and more radiant. Chemical peeling is a medical procedure consisting in exfoliation of the epidermis or both epidermis and part of the dermis layers. The purpose of its application is to cause uniform, controlled removal of several layers of damaged cells. In this way, a new, fresh layer of skin is created with a smoother structure and more even color. Medical peels are based on exfoliation of lesions and/or cosmetic defects found in the epidermis or both epidermis and dermis. The effect of the treatment is reduction of wrinkles, regeneration, skin renewal and remodeling of the microarchitecture of the dermis. Aesthetic medicine – what makes us stand out? The patient is the most important for us. While decorating the interiors of the clinic, we wanted everyone visiting us to feel comfortable and at ease. Our offices are spacious and friendly, and, most importantly, equipped with the highest class medical equipment so we can provide professional services. With us you will change for the better. Thanks to our modern, effective treatments in the field of aesthetic medicine and dentistry, your skin will get a healthy look and your smile will shine with a full glow. You deserve to feel special in your body. With MEDESSENCE all this is at your fingertips. Give yourself a chance and arrange a consultation. Welcome! At MEDESSENCE, we pay you maximum attention and commitment to fully understand your needs. For the best effects and full safety, the first steps we take are a detailed medical history, supported by photographic documentation, a conversation about the patient's expectations and a representation of the post-treatment care regimen. We are up to date with novelties appearing in both dentistry and aesthetic medicine. We constantly improve our known methods of treatment and improving beauty. We are always looking for new solutions that will be even more effective than before, thanks to which, we are gradually expanding our offer. In our clinic in Warsaw, we care for patients comprehensively!